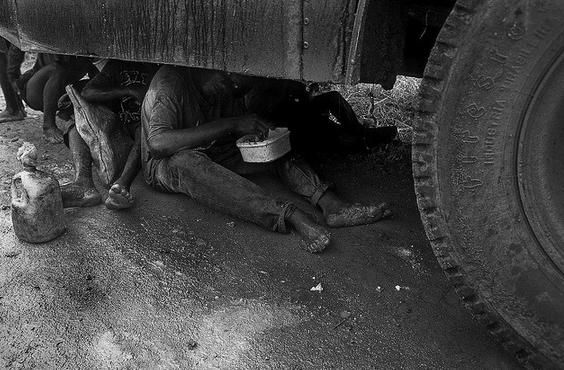 Brazil's poor often face deplorable working conditions and what amounts to slavery. This is rampent across Brazil, with many of these workers unable to leave the work camps at which they are employed. Workers face "debt slavery" as employers demand that workers reimburse them via work for housing, food, and other costs. Cattle owners and sugar cane employers notoriously expose their workers to inhumane and harsh working conditions, including by forcing them to work excessively long hours without breaks in unsanitary environments that often have no toilets, food or water. Many of these workers end up seriously injured due to a lack of training as related to dangerous machinery. A nationwide anti-slavery plan that was implemented in 2003 has helped set regulations for labor and has led investigations into allegations of abuse. Employers found to have violated workers' rights are put on a "dirty list".